Capital Coating provides thorough roof inspections to the people of Lebanon, PA. Our roof inspections will allow us to find exactly what’s wrong with your roof so that we can get it exactly what it needs. This might be a repair, a roof coating, or a roof replacement. Whatever it is, Capital Coating can help. For the best full-service roofing company around, give us a call at (717) 442-0979. If your roof has an issue, the worst thing you can do is put it off. Roof leaks should be dealt with as soon as possible so that the damage does not continue to spread. If you suspect that your roof has a leak, schedule an inspection with Capital Coating. With our expert roof leak detection, we’ll be able to pinpoint your roof’s leaks and patch them up in no time. There are a lot of obvious signs that indicate the need for a roof repair. This includes separation at the seams, loose flashing, ponding water, and more. You don’t want to hire a company to inspect your roof that isn’t going to pay attention to every detail. That’s exactly what we do here at Capital Coating. 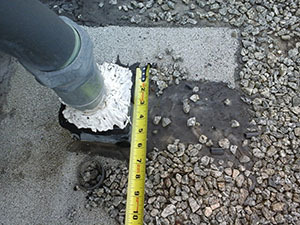 We’ll make sure to check each section of your roof so that we can fix everything that needs fixing on the first visit. We’re a roofing company that has been around since the 1990’s. Over that time period, our roofers have gained loads of useful experience. There’s no denying that our team members are true experts in all types of roofing services. From basic roof repairs to full roof replacements, Capital Coating is a company that you can count on. Our roofing technicians are all licensed, insured, and excited to help out more clients around the Northeast. 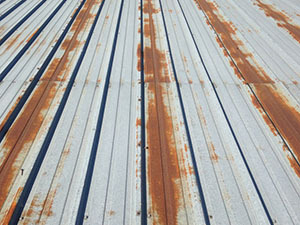 Hire Capital Coating to stay ahead of your roof’s problems. We guarantee that we will save you time and money on your roof with our effective roofing solutions. To learn more about our services, give Capital Coating a call at (717) 442-0979. We can provide you with a roof inspection and any of the required services that follow. We look forward to helping more people in Lebanon, PA.